Thank you all for letting us know the email had issues this morning with our photos. For some odd reason they just wanted to be reformatted. I appreciate all the phone calls and emails. Here is what was missing! 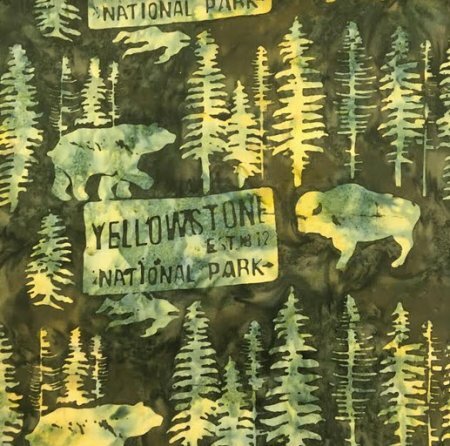 New Yellowstone Batiks- This is our very own custom color! 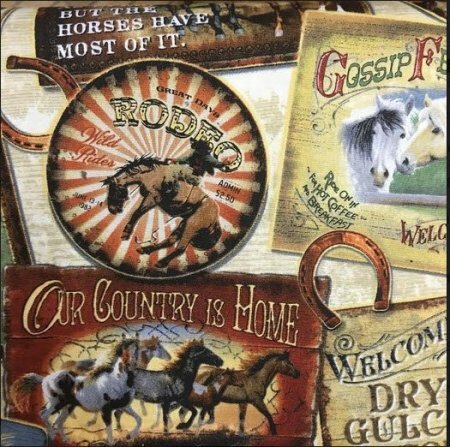 You will only find it here at Main Street Quilting Company. 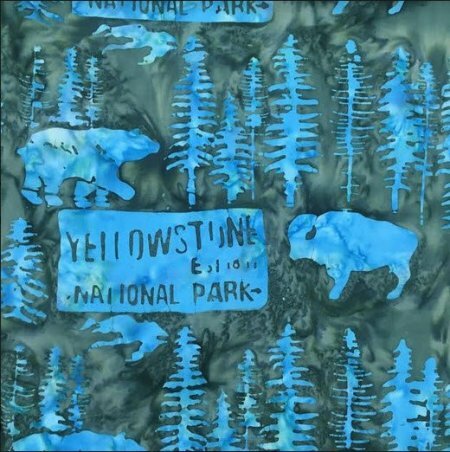 Can you see this as a pillowcase on your guest bed for your visitors to take home as a souvenir of their Yellowstone experience? 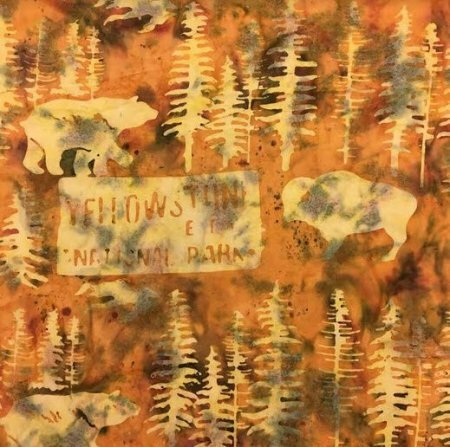 We have three other colors as well: Brown, Citrine and Spruce. 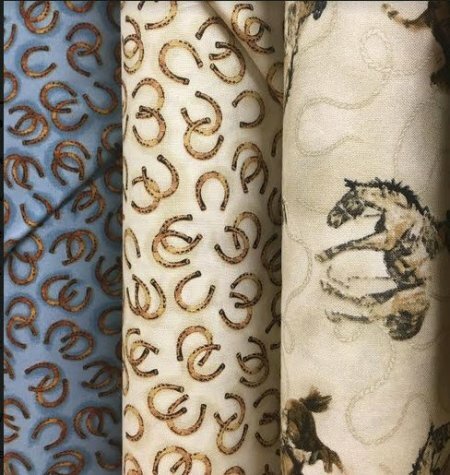 New Western Fabric- We found great new western fabrics- This great line has a vintage feel. THIS WEEK!!! 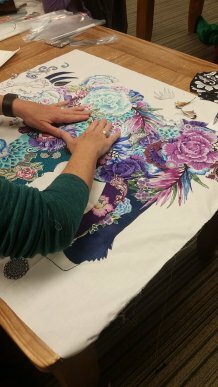 Collage Class with Leslie McNeil- October 19 & 20- Our favorite collage teacher, Leslie McNeil, is coming back for a final time to teach applique. If you have not taken a class from Leslie- you won't want to miss this one. She is entertaining, full of creativity and you will love it! Fri & Sat 10am- 4pm both days. Cost: $75 plus supplies. 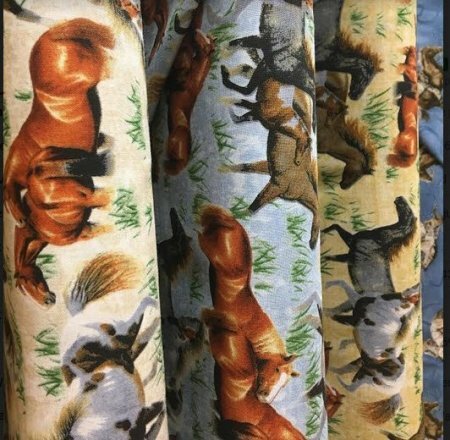 Stop into our store for your pattern and supply list. Remember to take advantage of our 15% discount on all class supplies! 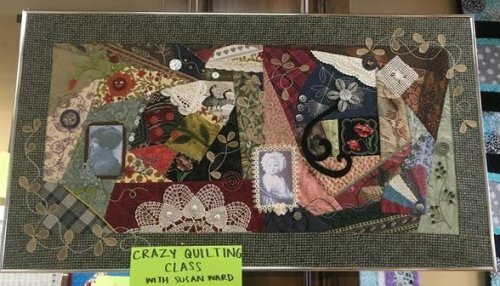 Crazy Quilt Class with Susan Ward: Oct 24-25, 10-4 both days. This class is a great way to utilize those buttons, kerchiefs, and old scraps from your grandmother you've been hanging onto. 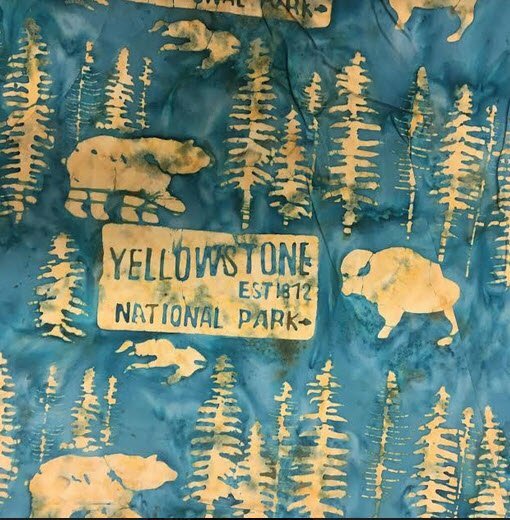 Stop in and see what Gwen's Mom made with her Grandmother's hankies and handmade embellishments. Cost:$75 plus supply kit.